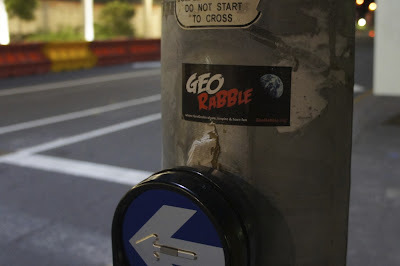 Putting Dec 4th on the map - GeoRabble Brisbane is kicking off a country wide celebration of mapping on the wild side. No seriously, the first speaker is about koalatracker.com.au. Alex Harris was the toast of the recent Spatial@Gov conference (according to twitter #spatialAtgov) and this is an excellent opportunity see what a successful crowd source mapping project can accomplish. For more information (and an update on speakers) check the web page or just go ahead and reserve a ticket. Brisbane is the first of several cities to break out some mapping action this week. If you are not in Queensland, consider catching the action in Perth or Sydney. 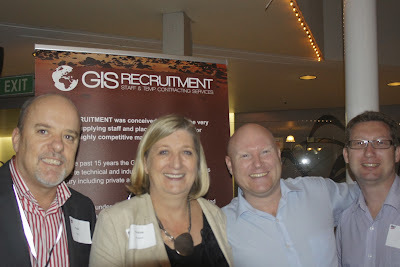 GeoRabble Brisbane 1 was the highlight of the social calendar for any self respecting Cartographer. Check out the following photos, and we hope to see you on Tuesday for a little Christmas cheer.